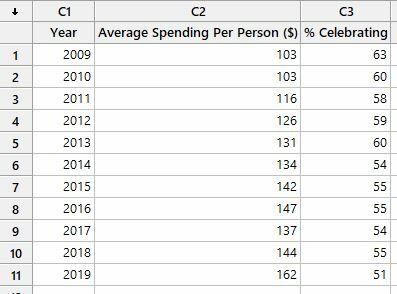 The average spending per person has steadily risen over the years—and this year's expected spending ($162) is higher than last year ($144) by 12.5%. 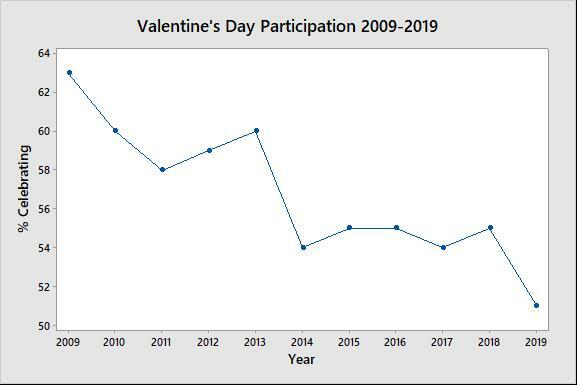 We see the inverse behavior with the percent of consumers actually participating in Valentine's Day. 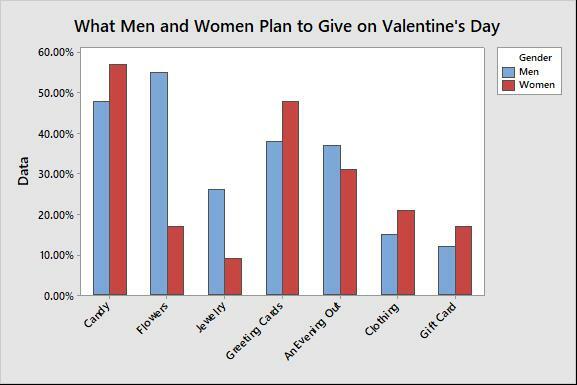 The NRF survey also asked men and women what types of gifts they planned on giving this year. 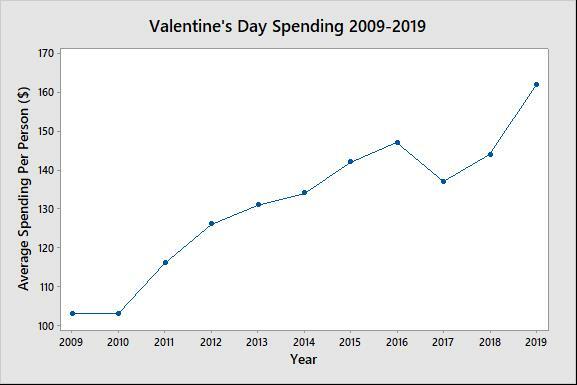 The Clustered Bar Chart (Graph > Bar Chart) below displays the percent of men and women who plan on giving candy, flowers, jewelry, clothing and other gifts. 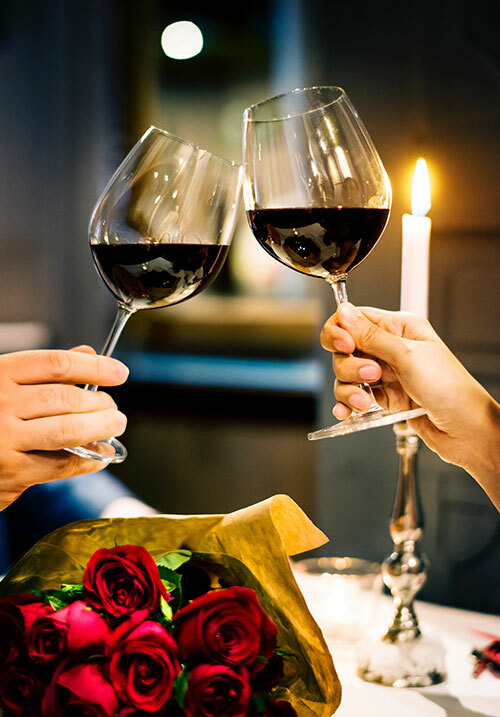 NRF's Valentine's Day Data Center has plenty more great data, including the trend of people who are not celebrating Valentine's Day, but plan to mark the occasion by purchasing "anti-Valentine's Day" gifts, treating themselves or planning get-togethers. No matter your plans, Happy Valentine's Day!